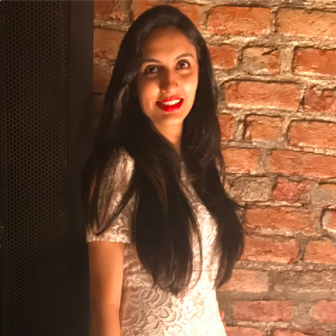 6 Reasons Why Westin Bali Is *The* Destination For Your Desi Shaadi! There are destination weddings, then there are beautiful destination weddings and then there are the ones which look like they came straight out of a fairytale. The one big question is - what makes a destination wedding so special and dreamy? It could be an exotic location, a gorgeous venue and a certain sense of quiet that people crave. Okay, now the next question is - where do you find all these three together? 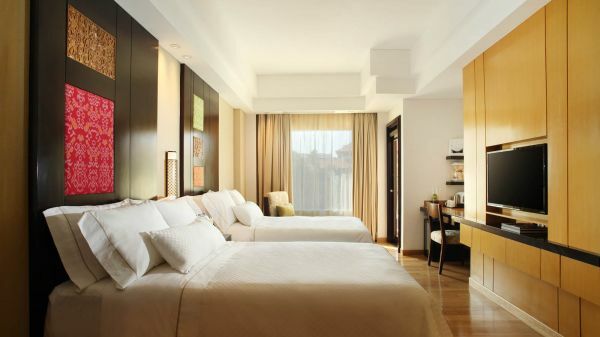 Well, we did some investigation for you and discovered this gorgeous property - it’s time we introduce you to Westin, Bali. 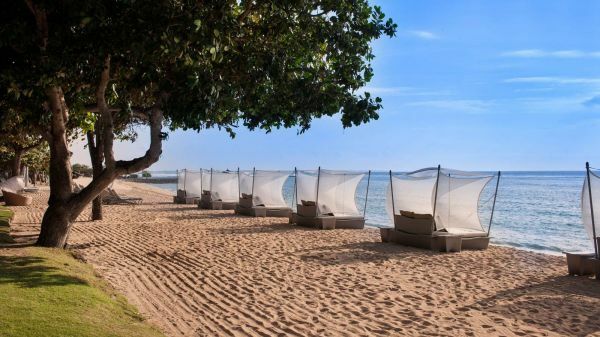 Nestled in a pretty posh enclave of Bali, the Westin Resort in Nusa Dua is the perfect location for an idyllic wedding by the beach. 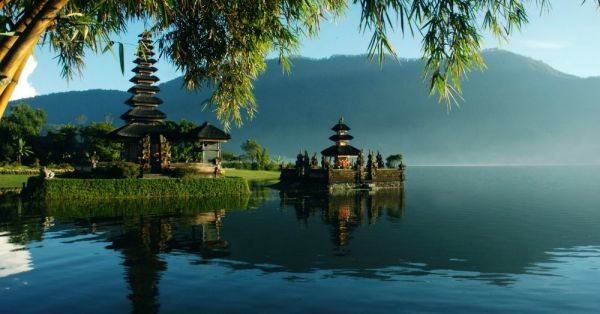 Whether you want an intimate wedding or a grand one, you can choose to get married in either a calm Balinese temple setting or a dreamy set-up by the beach. With the lucrative packages they offer, the beauty of the resort itself, delicious cuisine and its scenic surroundings, this place has all the qualities to make your wedding a special and pretty affair. 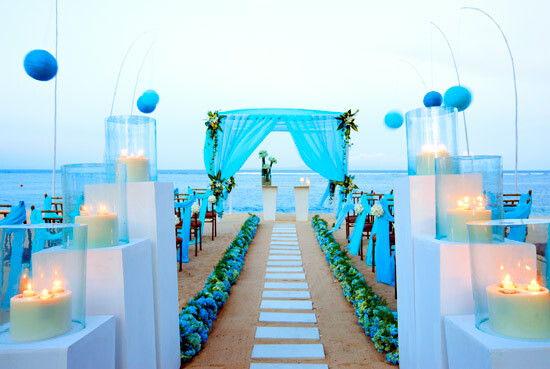 We list them here for you to check out and plan that much-desired destination wedding. Since the resort is located within a secured tourism enclave with direct access to a white sandy beach, you can go for those quiet, long romantic walks by the beach and just revel in the happiness of being close to your better half in such a tranquil setting. Just imagine enjoying this with your hubby-to-be the night before your wedding. Sounds heavenly, doesn’t it? We know how to rock a shaadi in the most desi way possible. We dance, we sing, we do everything during a wedding that has the potential to tire us out completely. The Westin knows what our weddings mean to us, but they also know how much we crave for a comfy bed after we’re done celebrating. So, it offers an extensive choice of guestrooms and suites with subtle decor which you can peacefully retreat to after the functions. Your Westin Weddings Specialist (yes, there is a specialist) arranged personalized services for you and all your guests, which you can then enjoy. 3. Coz we Indians love food, and the world knows it! 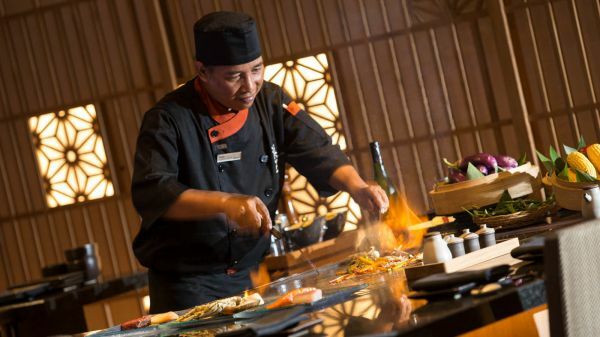 The super-talented chefs at the resort prepare dishes that tantalize your taste buds and leave you wanting more. They use the freshest ingredients and a lot of skills to dish out personalised delicacies. But that’s not the best part. The Westin has a dedicated Indian Executive Chef who passionately collaborates with their culinary team for more varieties of the menu, especially for those who have special diets or are pure vegetarians. How awesome is that! 4. They know that Indian shaadis are larger-than-life, so space is not an issue! The Bali International Convention Centre (BICC) that has a ballroom with a seating capacity of 2,500 people and is the largest meeting venue in Bali, is a part of The Westin. The BICC has another ballroom with an available seating for 1,000 people. Apart from these two, they have 25 other rooms where you can hold all your events. You can even get the decor personalized. The ones who want a calm intimate wedding can exchange vows in the Temple Garden. The ones who want to make it large, can do it by the beach in a dreamy setting. Totally your call! 5. All the function rooms are located close to each other, so that your heels don’t kill you! All the function rooms are within walking distance and it is very easy to walk from one room to another. Another huge plus point is that all the rooms and function rooms are covered - so even if it’s raining, you don’t have to stress about it! 6. 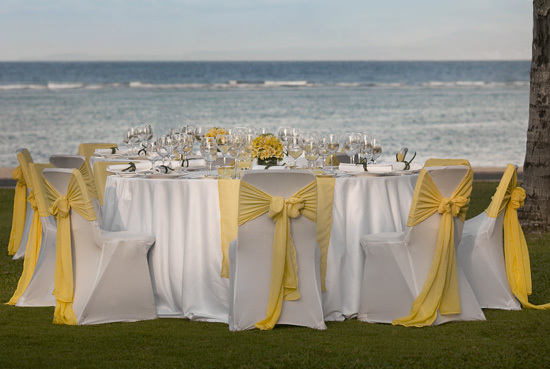 You just relax and enjoy, your Westin Wedding Specialist does everything else! From the first taste to your last toast, your Westin Wedding Specialist will always be available by your side, taking care of everything you need. They will handle your wedding like family, leaving you to relax and enjoy the most important days of your life, without a single worry in the world. Are you in love with the place already, because we sure are! 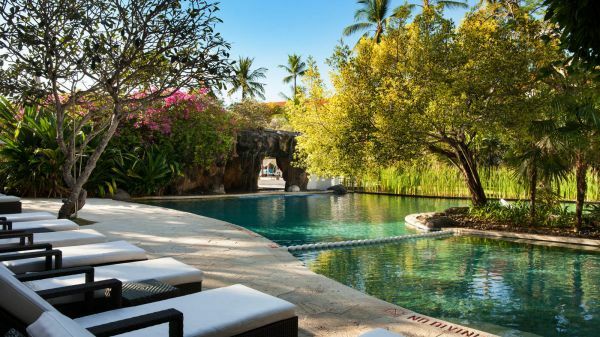 And even if you're already married, POPxo is offering one lucky couple the chance to enjoy a 3-night stay (with breakfast) at Westin Nusa Dua, Bali. All you have to do is share your quirkiest, funniest wedding vow with us and who knows, you might get to spend a lovely weekend with bae in Bali!!! Follow POPxo Wedding on Instagram for more details! Contest ends On 17th November, 2017... Conditions apply!